The Middle Ages encompass one of the most exciting periods in English History. The names of famous Medieval people scatter the History books. What were these important people of the Middle Ages famous for? The famous people of the Middle Ages included Artists, Clerics, Crusaders, Diplomats, Explorers, Religious Leaders, Military Leaders, Philosophers & Theologians, Scientists, Physicians, Engineers, Mathematicians, Writers & Poets and Reformers who featured in the Medieval period from 1066 - 1485. 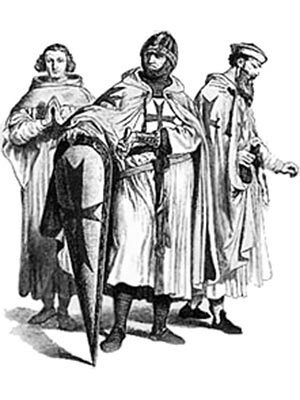 The following biography information provides basic facts and information about the key dates and events in the life of Tancred de Hauteville who was famous as a leader of the First Crusade. The story and biography of Tancred de Hauteville which contains interesting information, facts & the history about the life of this Medieval person of historical importance. The Normans saw in an expedition against the East an unequalled opportunity for acquiring fame, riches, lands, and power. The Normans were especially stirred by the prospect of adventure and plunder which the crusades opened up. By the end of the eleventh century the Normans had established themselves in southern Italy and Sicily. Normandy sent Robert, William the Conqueror's eldest son to the First Crusade. The Normans from Italy and Sicily were led by Bohemond, a son of Robert Guiscard, and his nephew Tancred de Hautville. Some interesting facts and short biography information about the History, Life & Times of Tancred de Hauteville. Additional details, facts, history and information about the famous people of the Middle Ages and important events during their times can be accessed via the Middle Ages Sitemap.